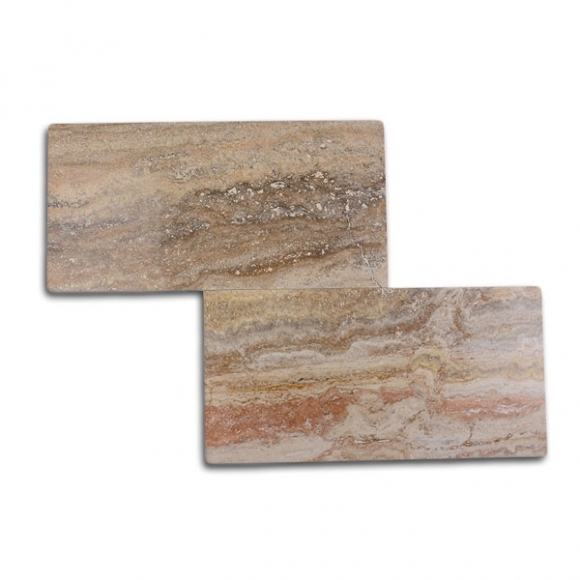 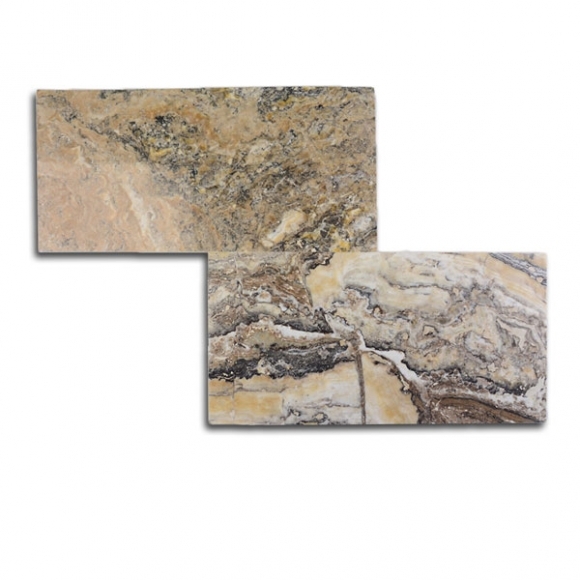 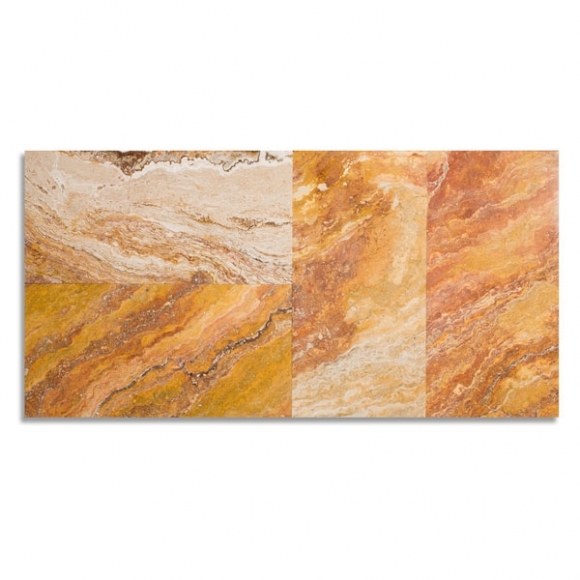 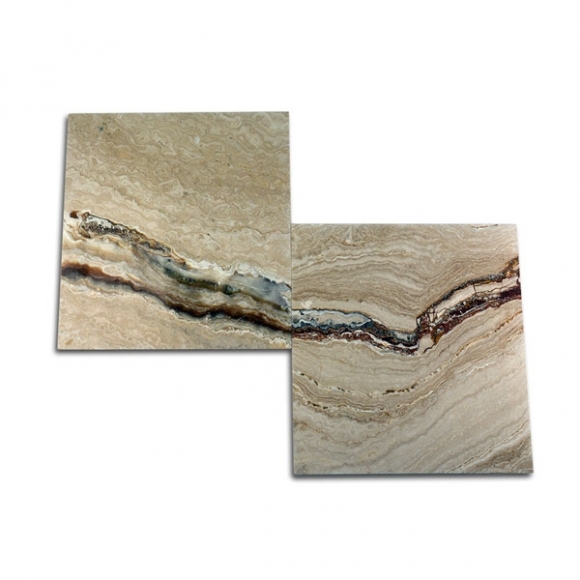 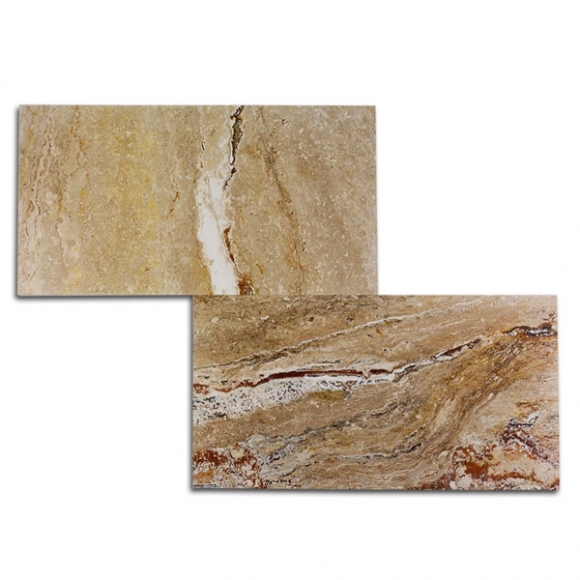 This is our beautiful “Vein Cut” Savannah Sunset in a polished 6×12 tile. 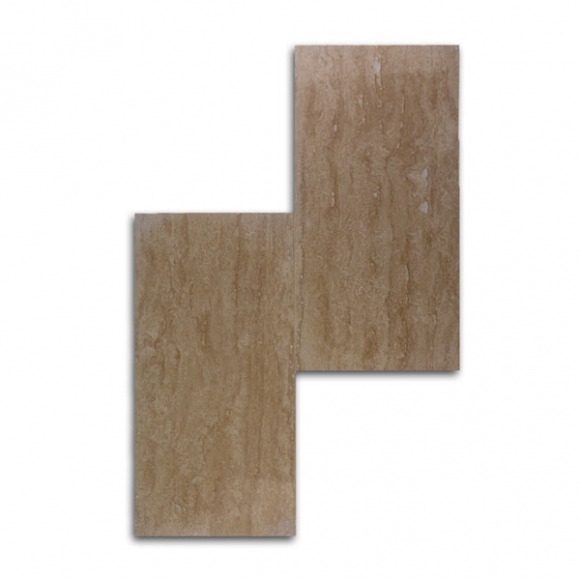 If you are looking for classic beauty then Polished Travertine Tiles are what you are looking for. 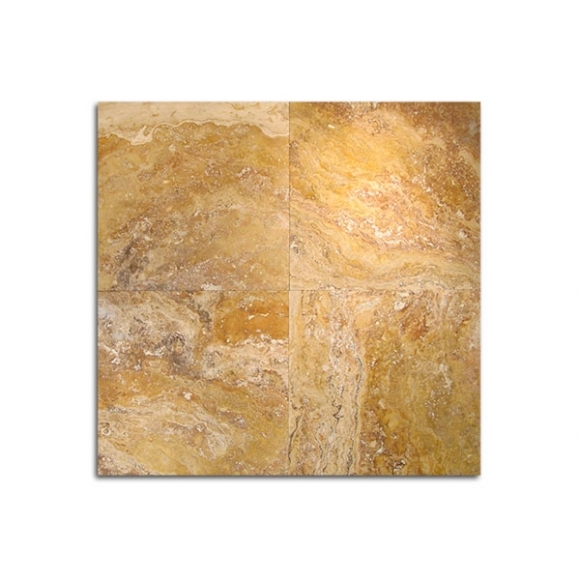 Polished tiles provide a very smooth surface and are buffed to a high, shiny gloss. 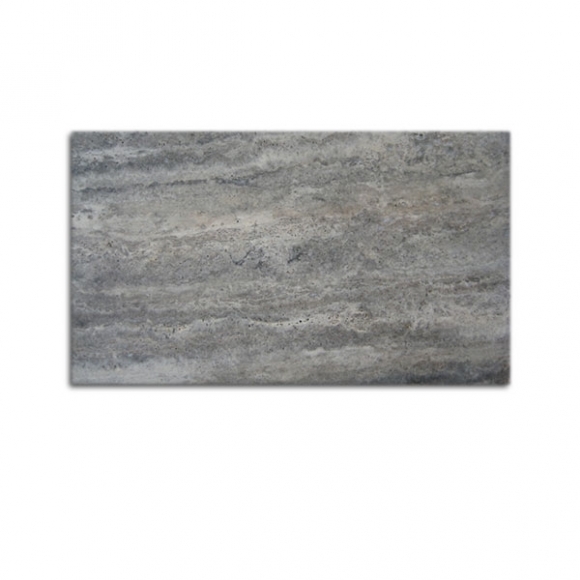 One of the most beautiful tiles we have in stock that will elevate your home’s appeal to exclusive. 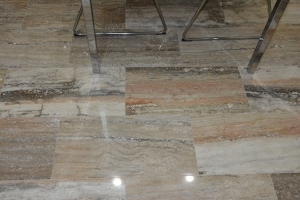 From huge mega mansions to a moderate sized home in a subdivision, polished travertine will add a rich elegance like nothing else.